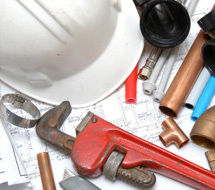 "Plumbing service you can trust"
AttaBoy Plumbing, Inc. is a professional plumbing service operating in Zachary and it's surrounding areas. With over 25 years experience for all your plumbing needs, you can trust AttaBoy Plumbing, Inc. because we are a locally owned family company that is completely focused on our customers satisfaction. Our personalized service means that we offer competitive pricing and fair billing for the time to complete a job – we understand your time is important so we stay in contact until we arrive! AttaBoy Plumbing, Inc. has trained, professional, bonded and insured plumbers that will arrive looking clean and neat, ready to get your plumbing work done right the first time!